As a type of alternative medicine, aromatherapy relies on the use of essential oils aiming at improving a person’s health and mood. Here are some aromatherapy facts to prove why we should use oils in the first place. You just inhale the aroma and get better. Away with pills, all you need to do is drop some oil on a tissue or on a pillow and sniff it. The oils are actually extracted plant essences. Essential oils are made in plants by special cells but at this stage the material is not yet an essential oil, but is called an essence. It becomes an essential oil only after it has been extracted by distillation. The oils are expensive. The oils are extremely expensive as the process of creating them is slow, laborious and expensive. Over 30 roses are used to produce a single drop of rose oil. A few acres of flowers are necessary to produce 10 ml of Rose oil. Using a lot of oil doesn’t help. The overpowering aroma can disturb you and others living with you. Only the recommended by your therapist amount should be used as it is expensive and adding more oil will not speed your recovery. A personalised form of treatment is recommended. A scent that might work for one person, may not work for another. A person prone to stress will benefit from calming oils like Jasmine, Rose, Sandalwood, etc. whereas a person prone to headaches, nervous anxiety, insomnia, etc. will benefit from warm, energizing oils such as Lavender, Chamomile and Neroli. The oils contain the plant’s vital essence. The oils have so many therapeutic properties because they contain the plant’s vital essence. They protect the plant from climatic changes, pests, diseases, and researches are increasingly demonstrating their potency for us, humans, too! The oils treat a variety of ailments. There are various oils used in Aromatherapy that could treat a variety of complaints like indigestion, insomnia, acne, aches, anxiety, etc. Besides, you could also use oils to arouse sensuality, sharpen memory or even expand your consciousness. Firms in Japan are pumping essential oils through air conditioning to improve employee efficiency. Oils such as Lemon and Rosemary pumped through the air-cooling systems can improve employee efficiency especially when it is low. Essential oils can be used in public places to prevent airborne infections. Aromatherapy oils can also be used to improve our healthcare. They have anti-viral, antibacterial and antiseptic properties which make them ideal for vaporizing as in hospitals and crowded public places as just in homes to protect the environment from airborne infections. Medical and researching facilities study on the use of essential oils. Renowned hospitals and universities across the world are conducting research on essential oils and using the results in their treatments. 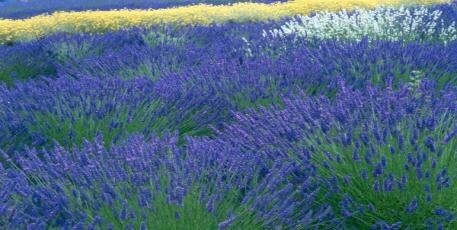 For example, some hospitals in Oxford, England have replaced chemical sedatives with essential oil blends like Lavender, Geranium and Cardamom oils.